Have you seen anything as heartwarming as the above photo? 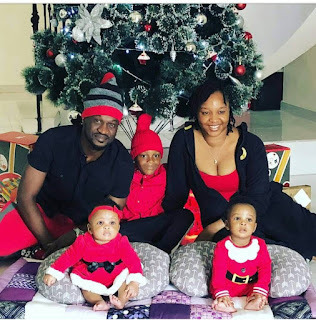 Paul Okoye, his cute wife Anita and their first kids, posed for the camera infront of their Christmas tree looking so adorable. 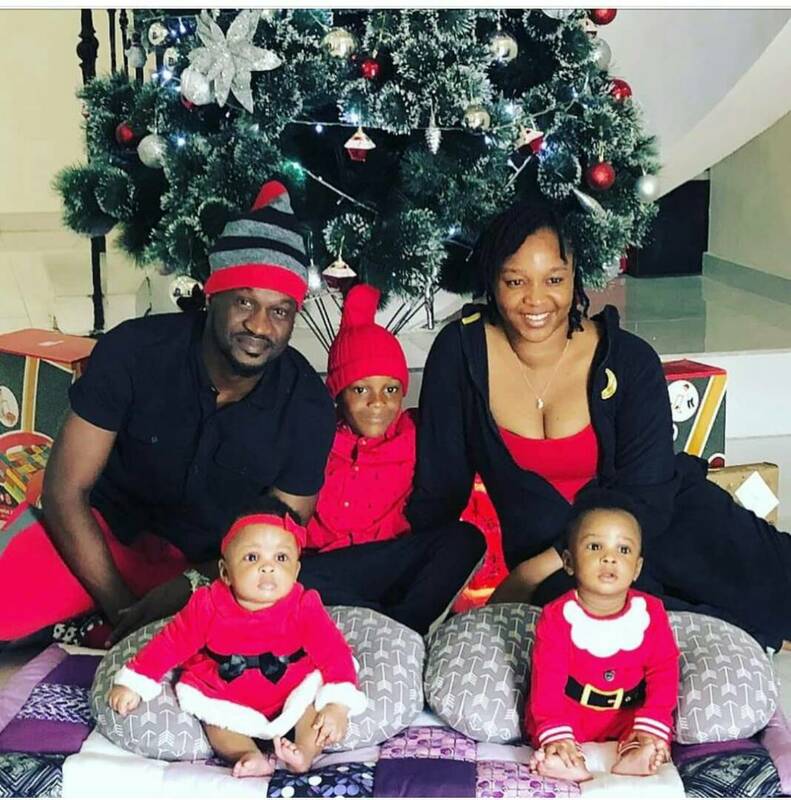 The twins Nadia and Nathan who look so grown up now rocked father Christmas attire and they slayed it.